Warranty: 1 Year against any manufacturing defect. 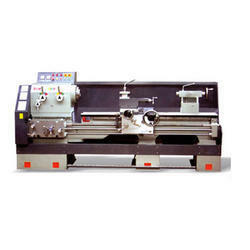 We offer Heavy Duty Lathe Machine to our clients. Shalimar Machine Tools Pvt. Ltd.
Our range of heavy duty lathe machine is fabricated using quality raw material to ensure high tensile strength, high efficiency and longer service life. 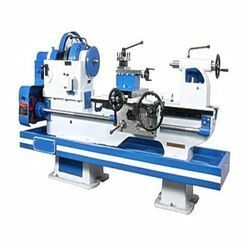 Widely used in engineering industry, these heavy duty lathe machine are quality tested on well-defined parameters before being delivered to our clients. We also meet customized specifications. Many variations in speeds, control, table size and configuration, and overall height are available. Standard Turntables are available in all capacities from 1 ton to 55 tons. Larger capacities and custom specifications are available on special order. For prompt evaluation and detailed proposal on your Turntable requirement contact KOIKE.